The first European to come close to tawaki country was of course Captain James Cook. On his first voyage (1768-71) Cook circumnavigated New Zealand and that way became the first European to visit Fiordland. 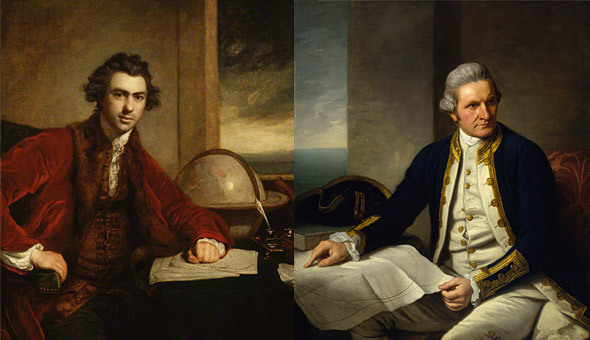 Cook had a rather prolific naturalist on board, Joseph Banks, a very educated and observant scientists who no doubt would have made a note of tawaki if he’d ever encountered them. But, alas, two things stood against Banks describing tawaki. One was timing. The other were apparent animosities between him and Captain Cook. Although Cook visited New Zealand on all his three journeys, he reached Fiordland only on his first. After sailing down the South Island’s east coast in February 1770 and circling around Stewart Island’s South Cape at the beginning of March, Cook first spotted Fiordland on 11 March 1770. March. 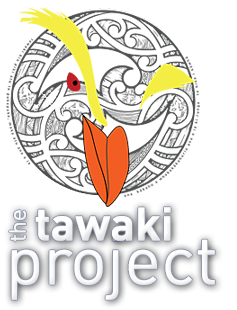 The month after tawaki have finished their moult and are all out on their winter migration. So Cook was too late and it seems highly unlikely that Joseph Banks would have been able to observe tawaki. If they would have landed, that is. Because Cook never made land fall in Fiordland, much to the dismay of Banks. In fact, it seems as if the two of them weren’t getting on too well because of this. The land on each side the Entrance of this Harbour riseth almost perpendicular from the Sea to a very considerable Height; and this was the reason why I did not attempt to go in with the Ship, because I saw clearly that no winds could blow there but what was right in or right out, that is, Westerly or Easterly; and it certainly would have been highly imprudent in me to have put into a place where we could not have got out but with a wind that we have lately found to blow but one day in a Month. I mention this because there was some on board that wanted me to harbour at any rate, without in the least Considering either the present or future Consequences. Stood along shore with a fair breeze and passed 3 or 4 places that had much the appearance of harbours, much to my regret who wishd to examine the mineral appearances from which I had formd great hopes. The South part, which is much more hilly and barren than the North, I firmly believe to Abound with minerals in a very high degree. This however is only conjecture; I had not, to my great regret, an opportunity of landing in any place where the signs of them were promising except the last; nor indeed in any one, where from the ship the Countrey appeard likely to produce them, which it did to the Southward in a very high degree, as I have mentiond in my Daily Journal. 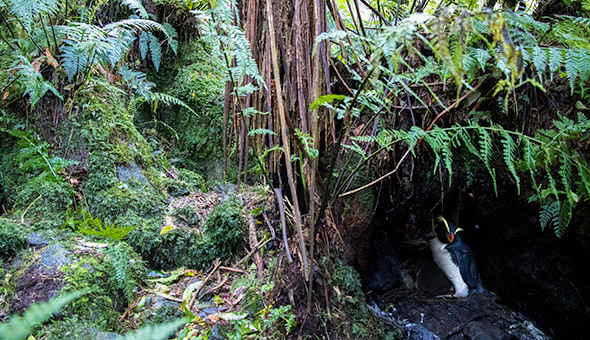 Although Banks came in contact with penguins on his journey to New Zealand, he did almost certainly miss out on tawaki. Which is probably for the better too. Banks as a ‘collector of fine specimen’ shot most of the animals he found interesting.